In the market for a crystal nail file? Don't know which is better? Here's a bit of a guide. Why not use a emery board made of cardboard? The grit is usually finer, meaning it helps improve the health of your nails. Helps against splitting, peeling and chipping. It means that your nails are less likely to snag and click tights too. With a crystal nail file you can file in any direction you like whereas with a traditional cardboard one you can't. Simply wash with warm water and dry and your nail file is good as new. Why would I want a crystal nail file over a glass one? A glass nail file is made in the same way as traditional emery boards, sandblasted. 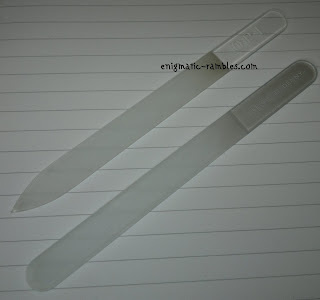 A crystal nail file is dipped in acid and so the grit is permanently etched on to the file. A glass one will wear down the same was as a cardboard one. A grit rating is the amount of sand per square cm. The higher the grit rating the smoother the file and the gentler it is on your nails. This nail file has a smooth end and is exceptionally smooth, you could run this over the finest of tights and not snag them. Very gentle on nails, and seals the end of the nails against water seeping in and splitting nails. Grit means it takes a while to file down the length of your nails. Comes packaged in a flip lid tin pack which is perfect for protecting the file. 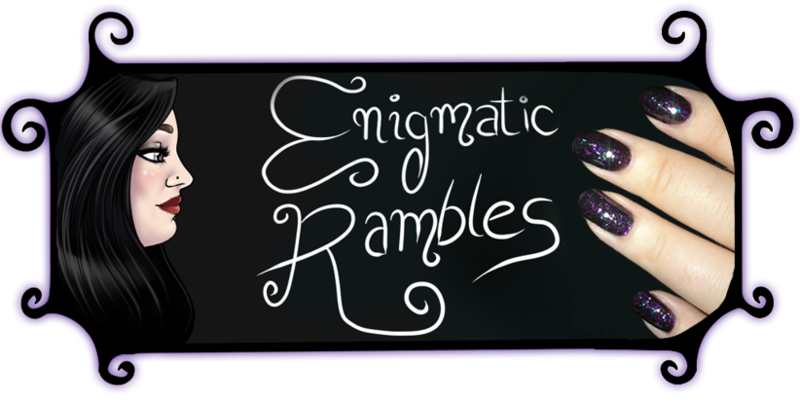 Leighton's crystal nail file doesn't have a grit rating as it is that fine. Ever so slightly longer than the Leighton one. This has a sharp end which is a bad thing for clumsy people like myself. If you do like a metal nail file with a point then I imagine you would like this. The grit on this is more rough. You can file your nails with this and take off a lot of length quickly. Comes packages in a plastic round tube, quite rustic but cheap feeling and easily breakable. Grit - 240. 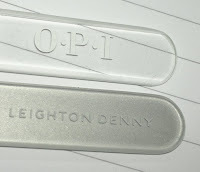 I've owned the OPI file for over two years and Leighton Denny's for around a year and I find I use them both. OPI for taking down length and Leighton's for smoothing the edges and filing the free edges. If I had to choose between the two I'd opt for Leighton's because even though it is slower at removing excessive length usually I just use it to tidy up the free edge as I quite like to keep long nails. The finish isn't as smooth with the OPI one either. You don't need both files, I got one with tesco points and one as a birthday gift. Thank you so much for this comparison. It told me exactly what I needed to know to make a decision. 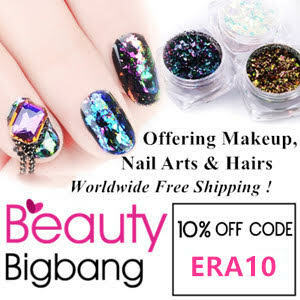 Totally love the design of your site, and the nail art is amazing!! Glad to have helped. Thank you!